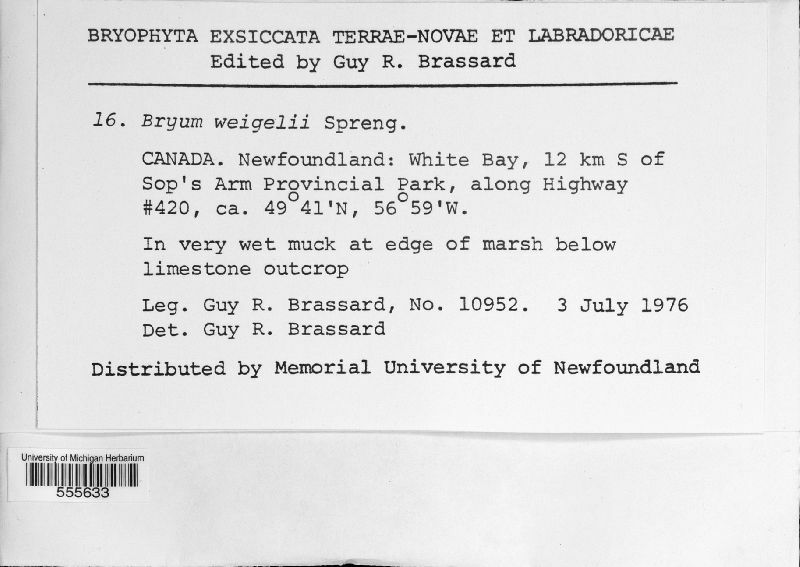 Brassard, Bryoph. Exs. Terr.-Nov. Labrador. Canada, Newfoundland and Labrador, White Bay, 12 km S of Sop&apos;s Arm Provincial Park, along Highway #420.